Stand up paddleboarding or ‘SUP’ for short is taking the world by storm. 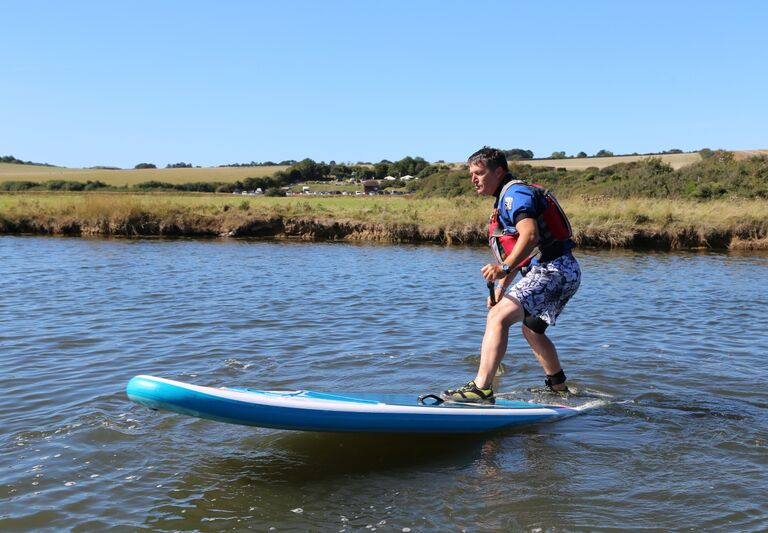 It’s great for adults and kids alike, and we offer lots of ways to try out this latest water sport at either of our centres, book a private lesson, join the social sessions or book a tour. Every Thursday evening 1800-2000 from 19 April to 6 September and every Saturday afternoon from 2-4pm 8 April to October 27. 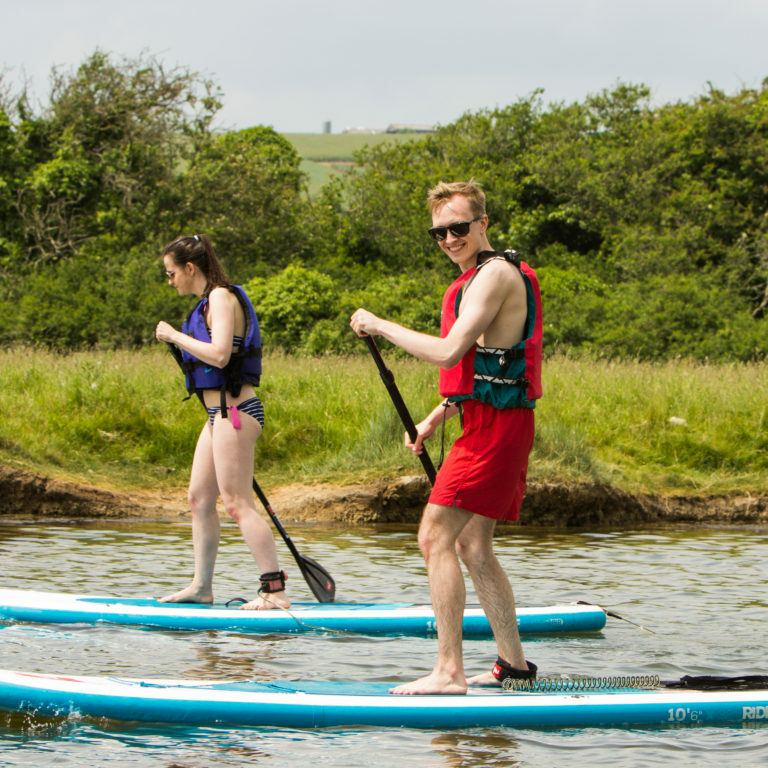 Offered at our Cuckmere site, this will be a 2 hour session for those wishing to hire, and those with their own kit to come down and paddle in company in the beautiful setting of the Cuckmere Valley in the Seven Sisters Country Park. We will have special events and social activities running regularly. Sup polo, trips round the ‘loop’ and maybe even a trip up the river or down to the sea. Hire costs- £15.50 for the session. want to try for the first time? 6-8pm every Thursday as above £20.50pp – 1 hour of tuition and 1 hour of playtime on the meander. We also have an ‘XL’ sup, so if you have a group and want a challenge, why not book the XL board for up to 8 adults (min 4). available to hire for £40 per hour. Stand up paddle boarding – or SUP – is an adaptation of canoeing and surfing. With a large surf board and a long canoe style paddle, you learn to balance and manoeuvre before learning how to surf the paddle board. This easy to learn sport is available at both our Eastbourne and Cuckmere sites. 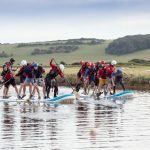 Safaris are available on the meanders for beginners or on the river to Alfriston or the Cuckmere haven for intermediate paddlers (weather and tide permitting) please see the booking pages for details of courses. We can do sessions for school groups, friends and family or corporate days – as well as equipment hire and courses to get you BSUPA certifications. Contact us to find out more.